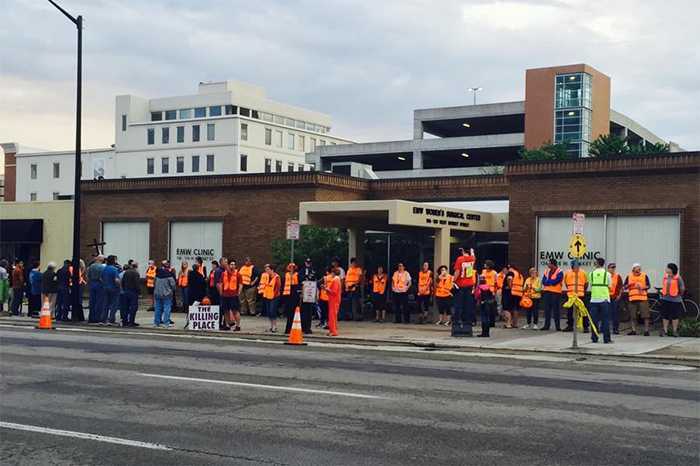 LOUISVILLE, Ky. — A judge appointed to the bench by then-President Barack Obama has issued a temporary injunction against the enforcement of a compliance order that would result in the closure of the last abortion facility in Kentucky. “Plaintiffs have laid out specific facts in their verified complaint showing that the rights of their patients would be immediately and irreparably harmed absent a temporary restraining [order] from this court,” wrote Judge Greg Stivers on Friday. His order remains in effect for 14 days while the case proceeds in court. As previously reported, the Kentucky Cabinet for Health and Family Services sent a letter to the EMW Women’s Surgical Center in Louisville earlier this month to advise that there were technical problems with the facility’s attempts to comply with the requirements to have agreements with a local hospital and ambulance service in the event of a medical emergency. Therefore, because the facility has not been able to comply by the Cabinet’s deadline of April 3, the Center filed suit on Wednesday with the assistance of the Kentucky American Civil Liberties Union. Cox said he was pleased that Stivers issued the injunction as requested. But state officials said that the abortion facility wasn’t in immediate jeopardy of closing and contended that its regulations and requirements serve a vital medical interest.